Microscoop interior LED spotlight. An adjustable surface mounted spotlight providing a warm light. 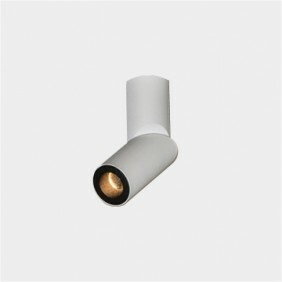 This fitting has a fixed optic with an anti-glare ring to ensure visual comfort. The angle and direction of the light is adjustable by pivoting the end. Available in a choice of colour finishes. 36° beam angle. Suitable for various spotlight applications including kitchens and bathrooms. 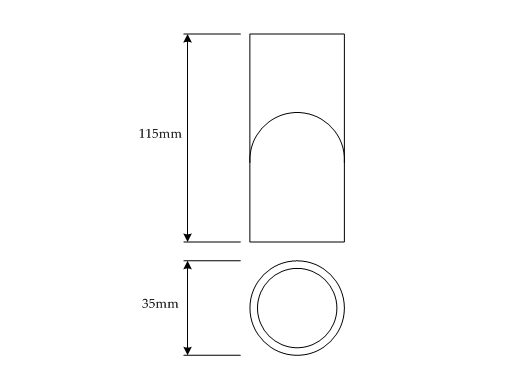 Adaptor available for fitting onto walls.